The show opened with “A Quickie” with White Mike. Mike tried to welcome his guest Tracer X but was interrupted by The Revolt. Tracer then joined them in the ring, invited White Mike to be one of his partners tonight and their third partner was the returning former PWX World Champion “Manscout” Jake Manning! 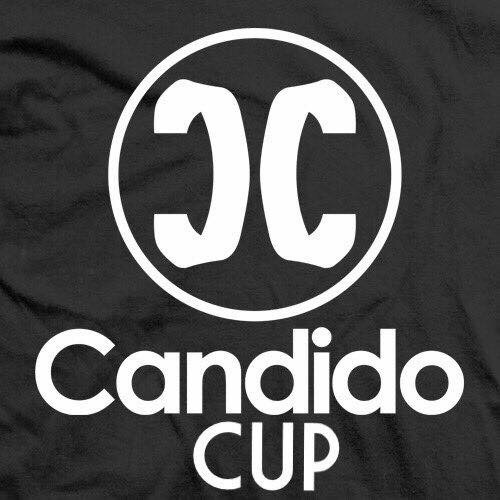 Be sure to visit pwxpro.com in the following weeks for the latest info from this event as well as match announcements and more for upcoming shows. Follow @PWXWrestling on twitter and ‘like’ the facebook page so you don’t miss anything. 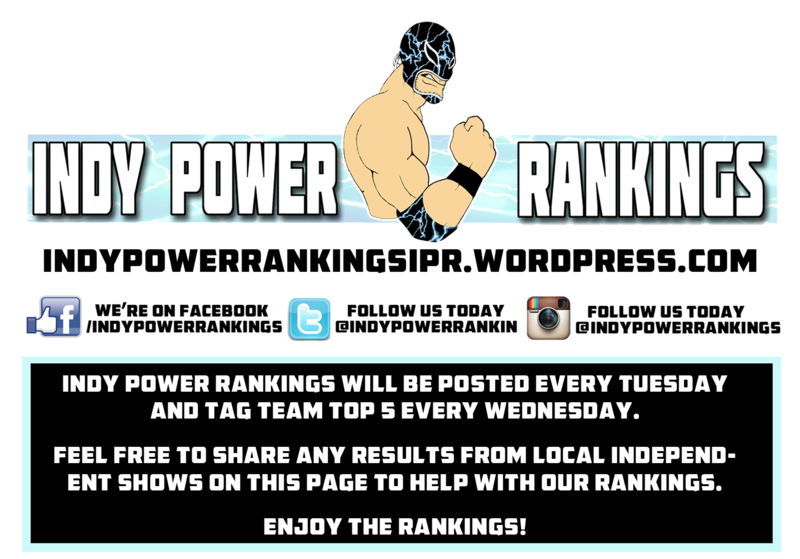 Who should be #1 in the Indy Power Rankings for the Week of 5/1/17? 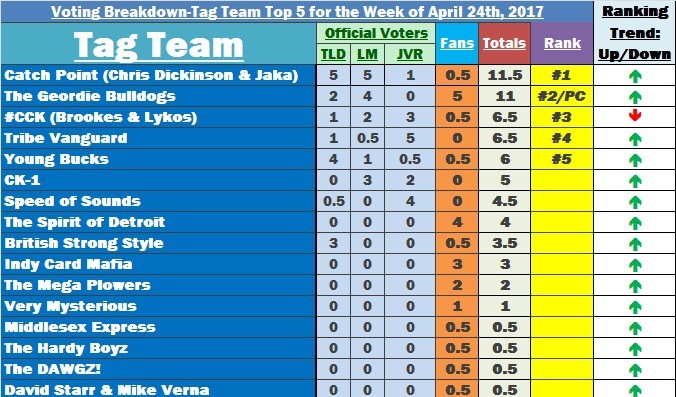 #1 Catch Point (Chris Dickinson & Jaka)-Despite multiple teams with more than one win for the week, the biggest win of the weekend was the victory by one Catch Point faction over the other. The NEW EVOLVE Tag Team Champions defeated Fred Yehi & Tracy Williams on 4/22 to win the titles. While there were other teams with multiple wins on the week, this one win was big enough to earn this pairing their first #1 ranking together. In the past, the EVOLVE Tag Team Titles have played a big role in determining who ended up at #1 in the Tag Team Top 5 and this week was no different. 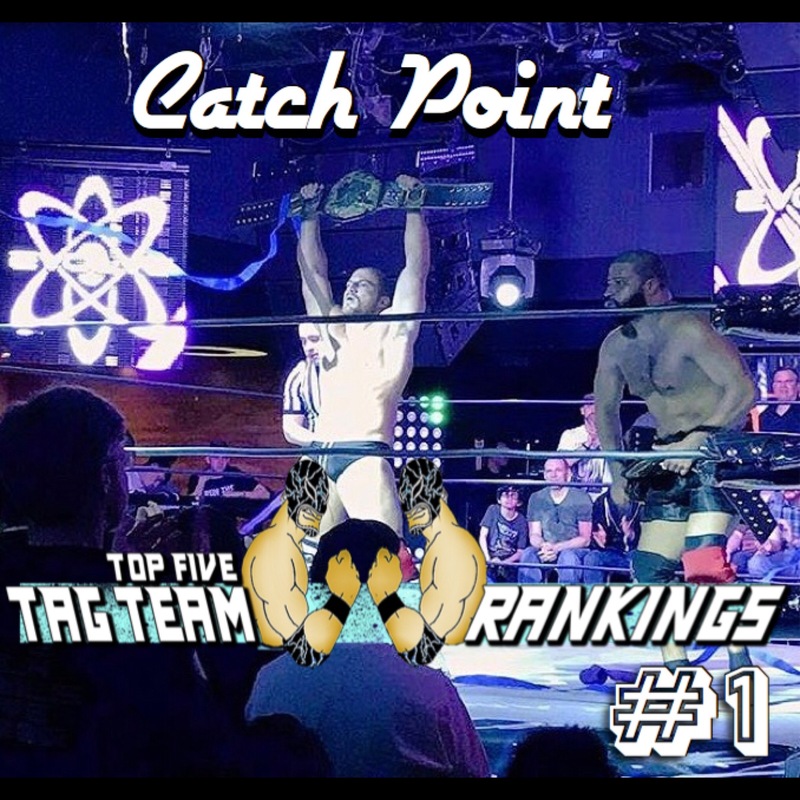 With two absolute beasts with the titles now, look out for this team to go on a strong run to continue their success in the Indy Power Rankings Tag Team Top 5.